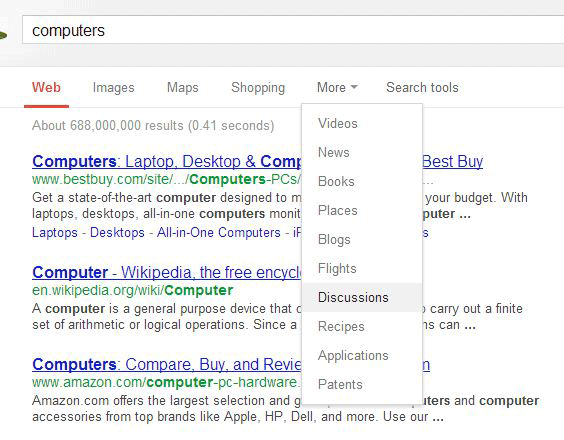 Now when you search Google, a nice number of search filters have been removed, including the discussions filter. The number of filters or vertical options have been drastically reduced. Here is an example. But if you look at an article from six months ago, the options for that search were much more vast. Now we have web, images, shopping, maps, news, videos, books, flights and applications. We are now missing places (which is maps I guess), blogs, discussions, recipes, and patents. All Google Testing also notes that the order of the filter options have changes based on your query. Interesting. For some, the removal of these additional filters is very upsetting. A Google Web Search Help thread has one searcher who said "very annoying as I rely on this function a lot." 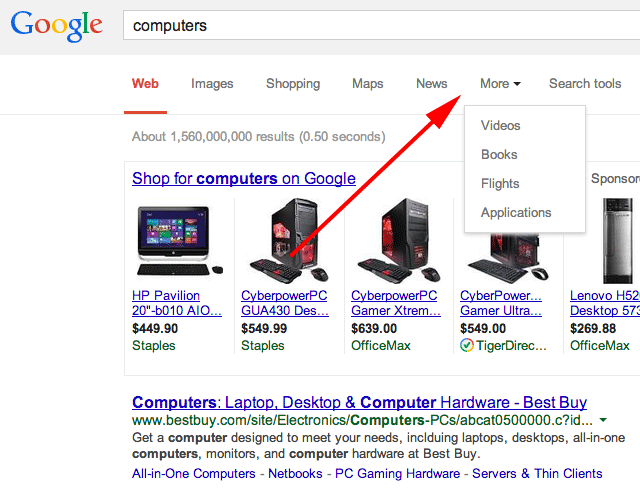 We’re always making changes to Search to help you find the most useful things more easily. Now when you search, the type of results you can select at the top of the page will vary depending on what makes sense for your search. For example, if you search for “English to Tagalog” you’ll see ‘Apps’ that’ll help you with translation as well as ‘Books’ and ‘Shopping’ in case you’re looking to buy a printed or electronic dictionary.